*Product Update: The BAR208HGX and the previous model BAR208HGA sensors are not compatible with each other due to a change in protocols. Oregon Scientific BAR208HGX Advanced Wireless Weather Station with Humidity, Radio Controlled Clock and Weather Forecast provides the weather you'll need to know to start your day off right! With the weather forecast in graphical icons, you'll never wonder if you need an umbrella again. The BAR208 wireless weather station monitors indoor and outdoor temperature from up to 3 remote locations. You can put a sensor outside in your garden, in your wine cellar and your baby's room and read all that information from the comfort of your bedroom. It also features the weather warning messages: Storm, Wind, Fog, Frost. Atomic time is always accurate and never needs adjusting for Daylight Saving time. 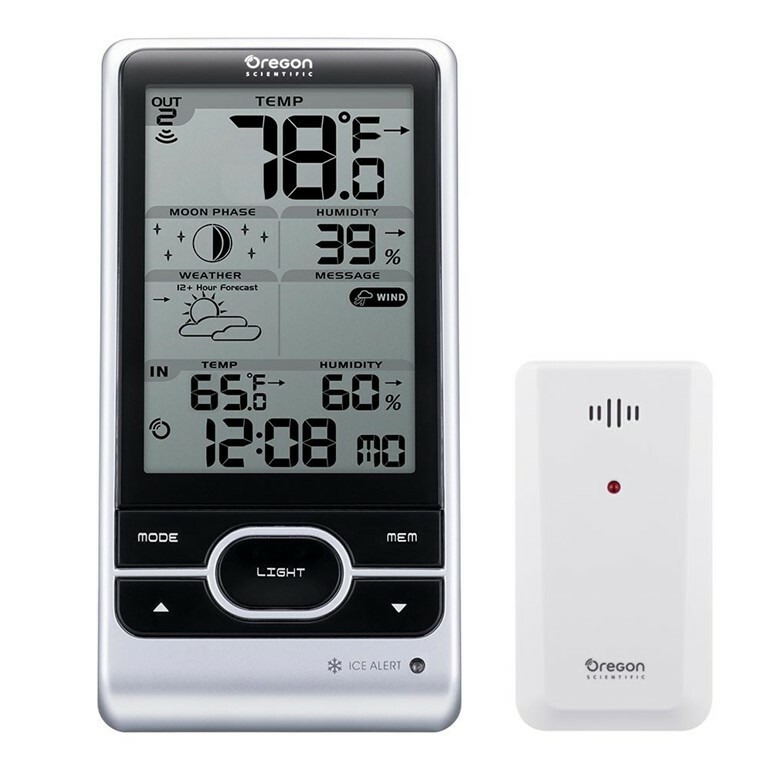 A large LCD display and backlight with moon phase makes this wireless weather station an outstanding choice. Same great product as the BAR208HGA just different sensors.